I was under the impression that if Alec Baldwin was going to leave Twitter, that he would just disappear off of the face of the earth until he was ready to come back and be a decent human being. First of all, who told Alec Baldwin that he’s funny? I mean seriously, when he’s on SNL, all he does is mock Trump in a less than hilarious way and that’s it. That’s all he does. That’s his thing. Oh, but it doesn’t stop there. “It aired just hours after Baldwin threw another of his patented public hissy fits, this one regarding the many women who’ve come forward in recent weeks with stories of sexual abuse at the hands of Harvey Weinstein,” it reads. 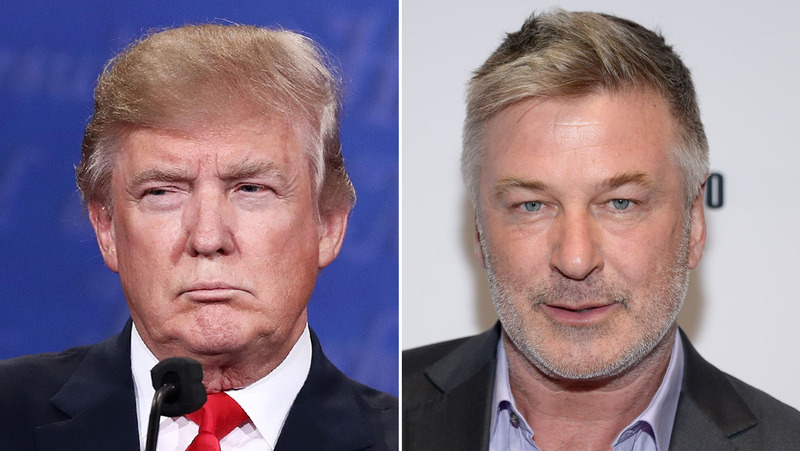 In a desperate attempt to save face and prove that not everyone hates him, Baldwin said that Melania Trump actually adores his impression of her husband. Uh huh. “Someone told me, who is friends with someone in the White House, or formerly in the White House, that Melania Trump loves ‘SNL’ and she loves my impersonation,” Baldwin said. Apparently, someone alerted President Trump to this laughable lie while he is currently in Asia taking care of some business and he decided to respond. But he didn’t do it via Twitter like we’ve come to expect from him. Instead, the First Lady’s communications director Stephanie Grisham issued an email to Newsweek that made the washed up actor in orange face paint look like an absolute fool. “That is not true, which is why Mr. Baldwin has no actual names to go with his bizarre assertion,” she says, pointing to his unlikely “friend of a friend” situation. If he wants to be taken seriously (that ship has sailed, but for the sake of argument let’s go down that rabbit hole,) then he needs to produce some names.